The Spot 3 Drawer Chest of Drawers with its unique A-frame design provides ample storage while adding the cool factor to any youngster's living space. 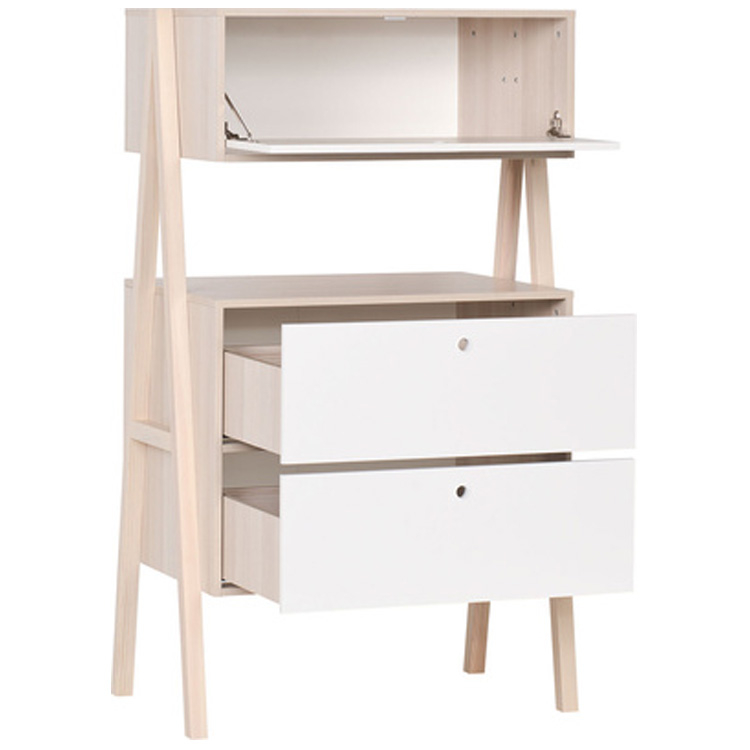 The Spot by Vox kids furniture will adapt to your needs with its sleek acacia shell and easy-to-clean white drawer fronts. 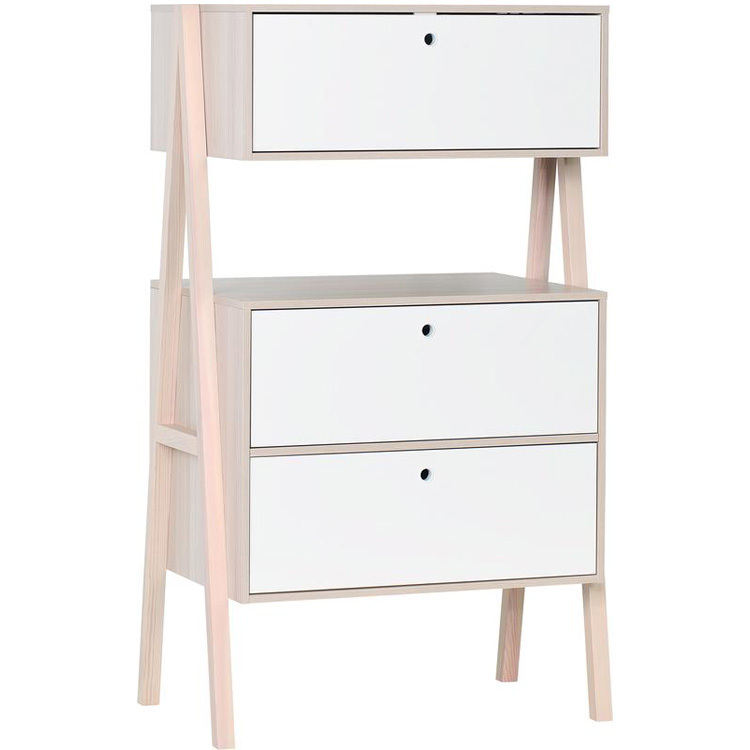 The Spot 3 Drawer Chest of Drawers stands stable on its solid pine wooden legs while providing storage space for larger sized items underneath. Now you know where to put away your son’s sports equipment and skateboard or your daughter’s riding gear.